We are blockchain project and we are looking for investor/s to launch an ICO campaign. All who has an site, program, game and want to earn cryptocurrency. Also simple people who has own devices can download our program and earn cryptocurrency too. Owners of programs, websites, games, with the help of our program additionally will get profit in our сryptocurrency, which in turn can be freely converted into another сryptocurrency, real currency or you can just share it with your own customers. Just imagine that for every minute you spend, for instance on Facebook, you will be paid a coin. This is possible with our service. Our new Monetix software provides possibility to additionally monetize clients’ software products by means of mining. Monetix that has to be integrated into application, program, website or game on a smartphone or computer where big data processing takes place. Owner of the software into which Monetix has been integrated will get the largest part of % (income), while the rest will be claimed by Monetix developers. * List above contains only the most popular applications; mostly, solutions of the kind are used by private communities and only their developers know about the existence. Such products require special hardware and software, in the mean time, our solution is based on integration into already existing IT product. Difference. Mentioned solutions generally work on a single machine, therefore, interrupting software operation stops block calculation and aborts all the progress achieved. Our software splits the block into many parts and shares it between programs for processing. Benefits of similar solutions. Software works (i.e. performs calculations) on graphics card which provides quite high operation speed. Additional software is required. Benefits of our solution. One process is split between parallel independent flows processed by different devices and applications. Software operation speed determines performance of all devices assigned to this task. Monetix software is intended to collect money through bitcoin mining. The process starts immediately after Monetix has been integrated into other carrier software. Owner of the software into which Monetix has been integrated will get the largest part of % (income), while the rest will be claimed by Monetix developers. 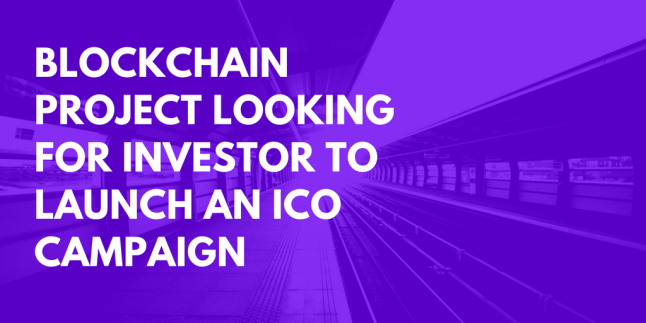 Investors money will be spent to launch an ICO campaign. Afer ICO investments will be used for funding marketing, support and software improvement. Part of the raised funds also will cover costs related to office rent, lawyer services, taxes, travel, and organization of workshops and conferences. Additional emergency fund will be created for emergency cases. We are thinking to get investment under tokens we will launch on ICO but also we are ready to give % of equity of our project but this has to be really GOOD investment. Possible also loan, investor give us investments and after ICO we return investments with %. If you have another way, lets discuss. It wasn't. Presently our team develop our program by ourself.